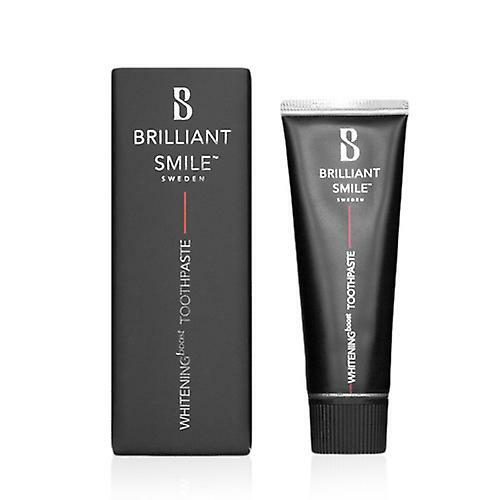 Intensive treatment that makes teeth whiter, by using BrilliantBoostTM technology: a unique combination of active ingredients that quickly dissolves surface stains, without damaging any abrasive material. Instructions: use twice daily for at least 2 weeks, then maintenance with Brilliant Smile whitening evo toothpaste. Children under 7 years of age should not use toothpaste. Pregnant and nursing women can use the toothpaste.